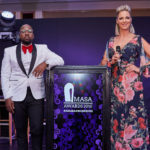 This year’s glamorous AMASA awards ceremony held at The Hilton in Sandton on Thursday evening, 12th of October, was attended by some of the industries top media and advertising members to celebrate the best in media innovation from 2016-2017. 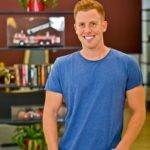 Now in its fourth year, the awards celebrate innovative ‘all round’ media campaigns in the media and advertising industry. With a total of 127 candidates entered into this years awards Wayne Bishop, the AMASA Chairmen, said the standard and quality of entries were some of the best the awards and judging committee has ever seen, making all selections and identifying the overall Roger Garlick Grand Prix incredibly challenging but inspiring at the same time. The renowned Roger Garlick Grand Prix Award went to Halo advertising for their outstanding work on their Jacaranda FM, #MoreMusicYouLove campaign. 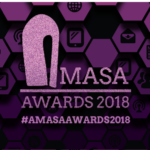 ‘This years winner checked all three of the most important boxes; innovation, strategy and execution, we’re so incredibly impressed with their imaginative and forward thinking strategy’ says Wayne Bishop, head of the AMASA Awards portfolio. Congratulations to all the finalists and winners and thank you once again to all those who supported the awards this year. We can’t wait to see how you’ll blow us away next year!